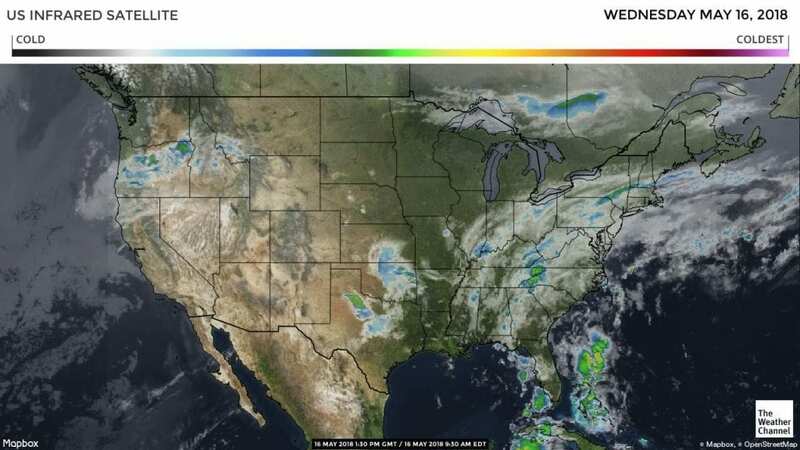 A series if cold fronts moving into the West Coast will bring a cool down along with a deepening marine layer and coastal drizzle to Central California fields through the week. Scattered showers and thunderstorms will continue across Central Mexico with near seasonal temperatures into next week. To the north warm temperatures will continue after a brief cool down over the weekend as the storm track remains well to the north. In Florida the upper level trough over the eastern Gulf of Mexico will continue to pump moisture into the state into the weekend. Widespread showers and strong thunderstorms look to continue next week with long range forecasts possibly bringing another tropical system to the region late next week. California trucks have been adequate early in the week but seem to tighten up as the week progresses. Freight rates continue to increase. Washington apple truck supply is steady. Idaho potato trucks remain steady as well. 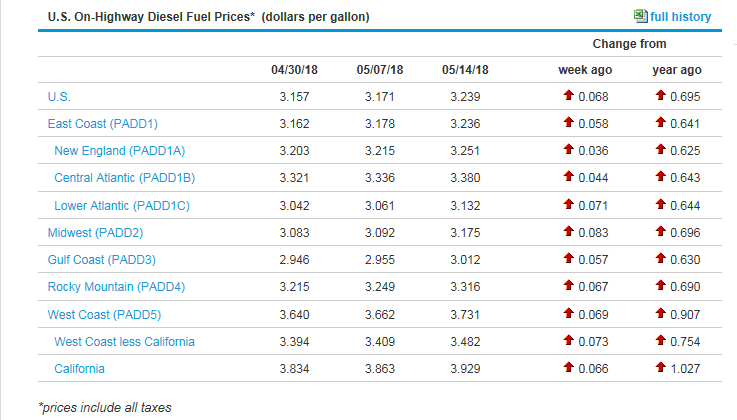 The national average on diesel rose again this week and are currently at 3.239 per gallon. An increase of .695 from this time last year. California prices increased as well and are now at 3.929 per gallon. Crude oil remained steady and is currently at 71.18 per barrel. Berries (Blueberries): Supplies continue to be very limited this week as we wait for California harvest to increase. Markets are higher. Berries (Strawberries): Supply exceeds demand this week. Plenty of good quality fruit with aggressive volume buy opportunities. Citrus (Oranges): Small size oranges, 113s/138s remain very limited. Pears: Small size pear 90 and smaller are very limited with not much relief in sight till the California Bartlett season starts in mid July. Potatoes (colored): Rain hitting Florida has supplies limited. Berries (Raspberries): Salinas and Watsonville will start harvest early June. Berries (Blueberries): North Carolina will start by the end of the month. New Jersey will start mid June. Asparagus: Central Mexico should begin harvesting in the next week to 10 days. Squash (Western): We have light supply from Baja. Santa Maria scheduled to begin on June 1. Cucumbers (Western): Cucumbers available to load in San Diego, from Baja California. Berries (Blueberries): California is expected to reach peak volumes by the front part of June. Berries (Strawberries): We will see peak volumes continue in Santa Maria and Salinas for the next 3-4 weeks. Onions: Texas and Southern California are in peak production.